Vancouver Police are requesting the public’s help to locate a missing Elderly man with dementia. Eighty-six-year old Ean Taulu was last seen at 10:30 this morning after he was dropped off for an appointment near Burrard Street and Helmcken Street. Mr. Taulu may appear confused and requires daily medication. Mr. Taulu is white, 5’5″ tall, has a thin build and short grey hair. He was last seen wearing a plaid or checkered black long sleeved shirt, grey pants and black shoes. He walks with a pronounced hunch and uses a purple walking stick. If anyone sees Ean Taulu, please call 9-1-1 immediately and stay with him until police arrive. 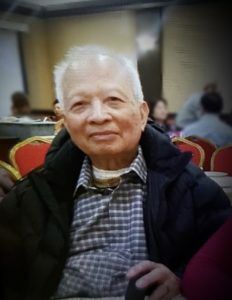 This alert, "CANCELLED: 86 y/o Ean Taulu missing near Burrard and Helmcken" imported on 2019/03/23 00:31 was originally posted to the "VPD Media Releases" web site and is provided here for alerting purposes. Please see the original post for authoritative information and updates on the missing person. Vancouver Police are asking for the public’s help in locating a missing 76-year-old man with dementia and Type 1 diabetes. Francois Rodier was last seen today around 11:00 a.m., walking at a slow pace, near Nanaimo Street and Eton Street in Vancouver. Mr. Rodier requires insulin several times a day for his diabetes and has now missed his scheduled doses. He is described as white with fair skin, 6’2″ tall, has a medium build, with short, greying hair, a receding hair line, and glasses. He was last seen wearing a thin blue zip up jacket, grey pants, white new balance runners and a ball cap. Mr. Rodier may be confused or disoriented and is not likely to ask for assistance. Anyone who sees Francois Rodier is asked to call 9-1-1 and stay with him until first responders arrive. 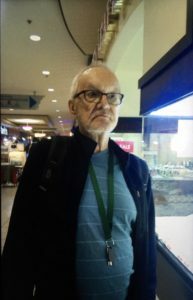 This alert, "CANCELLED: Missing 76 y/o Francois Rodier with Dementia & Diabetes " imported on 2018/12/19 06:27 was originally posted to the "VPD Media Releases" web site and is provided here for alerting purposes. Please see the original post for authoritative information and updates on the missing person. 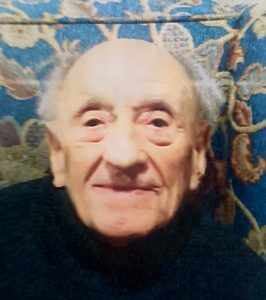 Vancouver Police are asking for the public’s help to find 92-year-old Arastou Nejad. He has dementia and was last seen at 10 a.m. today near West 33rd Avenue and Arbutus Street. Mr. Nejad is Middle Eastern and primarily speaks Farsi. He is 5’5″, has a slim build, short white hair, a tanned completion, and believed to be wearing a beige jacket. Although Mr. Nejad may appear disorientated or confused, he is otherwise healthy and capable of walking long distances. Anyone who sees Arastou Nejad is asked to call 9-1-1 and wait with him until first responders arrive. 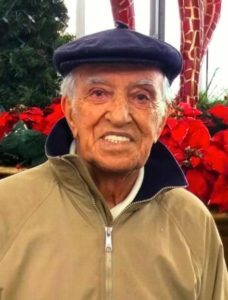 This alert, "CANCELLED: Missing 92 y/o Arastou Nejad" imported on 2018/12/08 01:41 was originally posted to the "VPD Media Releases" web site and is provided here for alerting purposes. Please see the original post for authoritative information and updates on the missing person. Vancouver Police are asking for the public’s help in locating a missing 15-year-old autistic teenager. Nicholas Loo got separated from his group and was last seen getting off of the Skytrain at the City Centre station at West Georgia and Granville Street at 2:30 p.m. today. Nicholas is Asian, 5’4”, has a slim build and black hair. He is wearing a grey and black windbreaker jacket with a bright green zipper, dark blue jeans and black runners. Nicholas is non-verbal. He may appear disorientated and is unlikely to ask for help. Anyone who sees Nicholas Loo is asked to call 9-1-1 and stay with him until first responders arrive. This alert, "CANCELLED: Missing 15 y/o autistic teen Nicholas Loo near W Georgia & Granville" imported on 2018/11/11 01:14 was originally posted to the "VPD Media Releases" web site and is provided here for alerting purposes. Please see the original post for authoritative information and updates on the missing person.